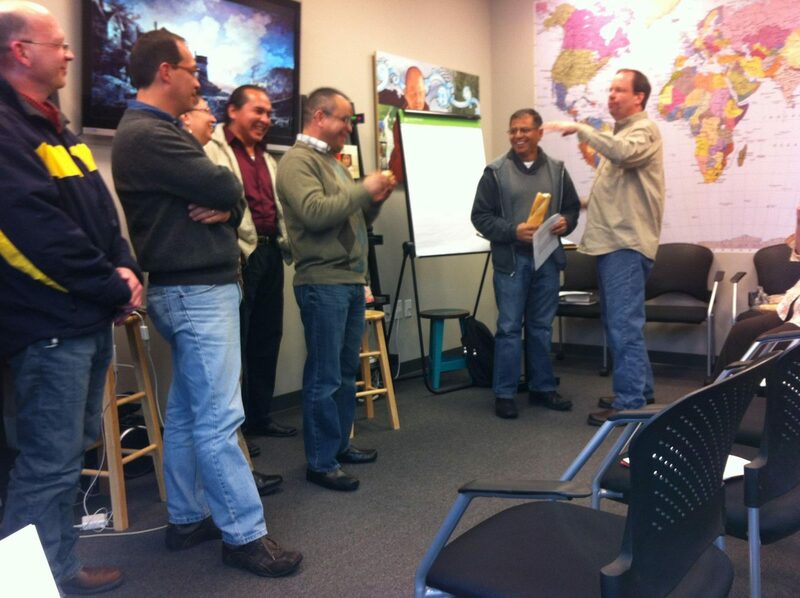 During their recent meetings in Atlanta, ethnic pastors visited the offices of Encompass World Partners. Thank you for praying for the ethnic gathering, we had more than 30 ethnic leaders participating and some Encompass World Partners employees and a local pastor. Dr. Tom Stalter did a great job presenting the cultural behavior behavior of the people. I always thought that people were different than me, but I just discovered that I am different. Usually we see outwardly but through the class, I started to look inwardly too. One of the highlights was when all the ethnic leaders and the Encompass group, a total of 49 people, share communion. We had people praying and singing in many languages. Please pray for some plans that were made for the ethnic group participating in National Conference. Thank you for praying for the new Kenyan church meeting at Grace Church Town Center in Marietta, Georgia. Thank you for Praying for Arnold Betoni in the passing of his mother and for Oscar Chavez in the passing of his father. Please pray for my adopted mother Nancy, she is the mother of my first wife that passed away many years ago. Nancy is very sick with Leukemia.